The 2016 NBA Draft is just two weeks away and while some of the names in the draft have already become household names - Simmons, Ingram, Hield, Dunn, Valentine - there are many names that are still unknown. These are mostly players from the non blue chip schools and conferences, stars of the mid-majors. They are also players that play at major schools but are overlooked because of other issues such as height or lack of true position. These players are the "sleepers" of the Draft. Historically, many draft sleepers have become notable reserves and even stars. Golden State's Draymond Green is the most notable. Overlooked because of his lack of height, Green was drafted in the second round of the 2012 NBA Draft. This past season, he was an NBA All-Star and named to the All-NBA Second Team. He made the NBA All-Defensive First Team the past two consecutive seasons. It's no wonder Cavs owner Dan Gilbert regrets not drafting him. Like Green, Milwaukee Bucks guard/forward Kris Middleton was also drafted in the second round of the 2012 NBA Draft. The multi-dimensional player has improved every season, led the Bucks in scoring last season at 18.2 PPG, and has shown All-Star potential. Lakers point guard Jordan Clarkson was drafted 46 overall in 2014. He started 38 games his rookie season and was named to the NBA All-Rookie First Team in 2015. There was no sophomore slump for Clarkson as he started 79 games and upped his scoring average from 11.9 to 15.5 PPG, second only to Kobe Bryant. In this year's draft, bet on at least a few players to be overlooked due to lack of true position, size or lack of exposure. Below are five sleepers in the 2016 NBA Draft likely to be late first round or second round draft picks but have the talent and skills to contribute to a NBA team. The son of former NBA player A.J. English, A.J. English III has made a name for himself this past season, averaging 22.4 PPG, 6.2 APG and 5.0 RPG. He led the Metro Atlantic Athletic Conference in both scoring and assists, and his scoring average was good for tenth nationally. A prolific scorer, English has scored 30 or more points six times this past season, including two games with 40+ points. In April, English showed his next level potential at the Portsmouth Invitational Tournament where he was named the Most Valuable Player of the three-game tournament after averaging 17.3 points, 3.0 rebounds, 6.7 assists while shooting 58% from the field and 65% from 3-point land. English is more of a shooting guard but has shown that he can also run the point guard position. His natural scoring ability and his ability to play both guard positions makes him an intriguing second round draft pick. "Cat" Barber is a true score-first point guard. Cat was the Atlantic Coast Conference's leading scorer and a first-team all-ACC pick after averaging 23.5 points. Last season Barber scored at least 30 points in eight games. He also led the ACC in free throws and averaged 4.5 assists. Cat gets his nickname for being super quick. He's likely the fastest player in the draft. He has good handles and his speed makes him a threat to blow by defenders. He's not a traditional point guard in the passing sense and at 6'3" is undersized to play the two guard. Cat's body and game play are very similar to Monta Ellis. Questions as to whether Cat is a point guard or an undersized shooting guard will probably result in Cat being drafted in the second round where his athleticism and potential makes him a great value. The Russian born forward/center was a four year player at Weber State and finished his career as one of the best in the school's history. As a senior, he averaged 17.1 points and 12.6 rebounds (good for third in the nation) and was named the 2016 Big Sky Conference Player of the Year. He finished his college career as the all-time leading rebounder in Weber State and Big Sky Conference history, and he was twice named Big Sky Defensive Player of the Year. 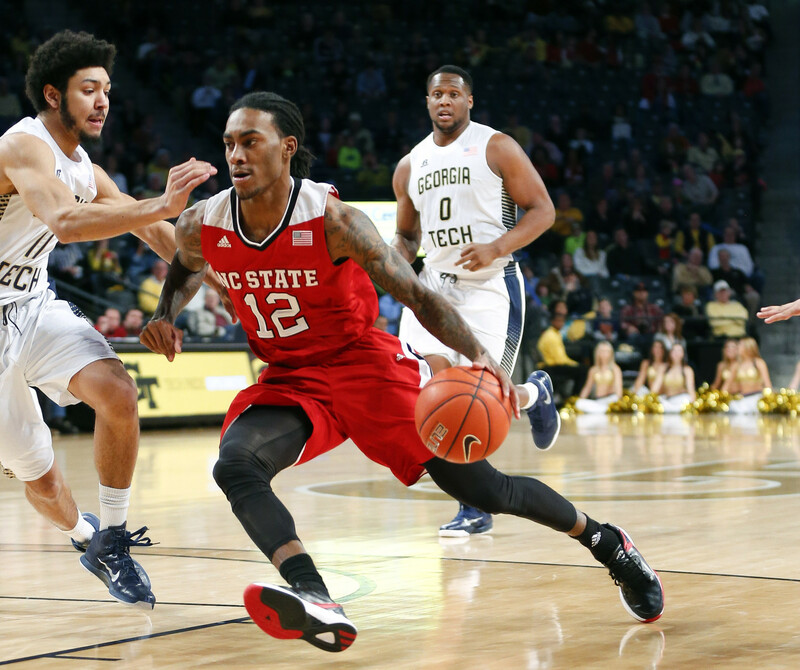 What Bolomboy lacks in offense, he more than makes up with his rebounding and defense. He can play both the power forward and center position but at 6'9" is probably on the shorter side to play center in the NBA. He has the upside to be a Bismack Biyombo/Tristan Thompson type of player. Bolomboy's rebounding ability, defense, and hustle might be enough to get him drafted late in the first round. If not, he's a steal in the second round for a team looking for a quality big man to do the dirty work. Siakam, a Cameroon native, was a very productive collegiate player. As a freshman, Siakam was named the Western Athletic Conference's (WAC) Freshman of the Year. As a sophomore last season, he won the Western Athletic Conference Men's Basketball Player of the Year award after averaging 20.3 points, 11.6 rebounds and 2.2 blocks per game. He also led the nation with 27 double-doubles on the season. Siakam is 6'9" but has a 7-foot-3 wing span, which NBA teams love. He's good on the glass and at altering shots. The competitiveness of the WAC and his need to add more to his frame to defend bigger power forwards in the league is why he's a projected second round draftee. His size, athleticism and rim protection ability make him a player that can develop into a solid power forward at the next level. Hammons, a hulking 7-foot, 261 pound center, was a four year player at Purdue where his scoring, rebounding, and field goal percentage improved each season. As a senior, he averaged 15 points per game, 8.2 rebounds per game, and 2.5 blocks per game. He also shot nearly 60% from the field. He was named to the First Team All-Big 10 and also voted the Big 10 Defensive Player of the Year. At age 23, he's considered "old" by NBA general managers, but as a seasoned rookie, he can immediately contribute. His size and defense are enough to break him into the first round where teams searching for the next Hassan Whiteside might take a chance.